Things continue to get worse for the Colorado Avalanche. The Avs kicked off a three-game road swing with a 4-3 overtime loss to the Washington Capitals Thursday night. With yet another loss, Colorado has now dropped five consecutive games. 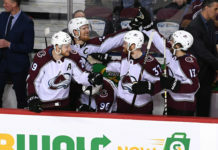 Following a tightly contested first period where the lone goal belonged to the Capitals, Colorado’s top line came through again as Avs forward Nathan MacKinnon recorded the equalizer 35 seconds into the second period. Picking up an assist on the play, defenseman Tyson Barrie has now notched 40 points for the fourth consecutive season. Despite coming up with an early equalizer in the second, things began going downhill for Colorado quickly. Colorado gave Alexander Ovechkin and Co. time on the powerplay, and Capitals forward Evgeny Kuznetsov tallied the go-ahead goal going into the final frame (2-1). 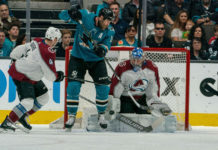 “The penalties kind of ruined some of our offensive rhythm,” Colorado Avalanche head coach Jared Bednar said on the postgame broadcast. Momentum remained on the Capitals side to kick off the third period, as Washington defenseman Matt Niskanen tallied a goal of his own 34 seconds into the third period (3-1). Despite being able to build up a two-goal lead, Washington was not able to hold its lead in regulation because a hungry Avs group refused to give up. Forwards Mikko Rantanen and Colin Wilson would each find the back of the net to force overtime. Unfortunately for Colorado, the Capitals controlled the majority of the ice time in OT and ultimately claimed a 4-3 victory when Kuznetsov notched a breakaway goal. 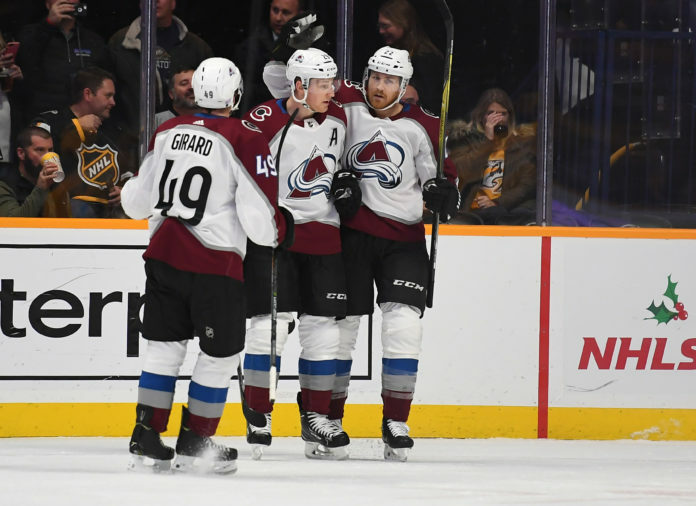 The Avalanche will continue to look to snap this losing streak when they continue the east coast road swing against the New York Islanders on Saturday, January 9 at 11 a.m.at the Barclays Center.